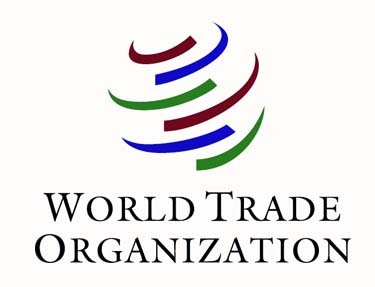 The WTO is an international entity established on January 1st 1995, that sets the rules for global trading and resolves disputes between its member countries, it now counts with 149 members. The last round of negotiation is the Doha round. The programme called the Doha Development Agenda, covers many areas such as: agricultural tariffs, non-agricultural tariffs, trade and environment, anti-dumping, subsidies, competition policy, transparency in government procurement, and intellectual property. On July 2006, this round was suspended since the members could not reach an agreement based on two key concerns: First, he EU and the US are being urged to reduce their agricultural subsidies to improve market acces for developing countries’ exports. Second, the more developed countries want the larger developing countries such as Brazil and India to lower their barriers to imports of manufactured goods. Is the WTO a success or a failure? Rules make life easier for everyone. Small countries have an equal say and gain from “collective bargaining” with the larger countries. In reality, many important decisions get made in informal negotiations between small groups of the wealthier nations. Hence, many of the WTO’s developing countries members are often excluded from decision-making negotiations; apart from the fact that many of such countries cannot afford to participate in all negotiantions and send their representatives. The WTO’s General Agreement on Trade and Services includes a long list of services that should be privatised (childcare, sewage, garbage disposal, park maintenance, care for the aged and postal services), which is not well seen in developing countries where the majority of the poor population would not be able to afford for such services. It is argued that WTO treaties are unfairly biased towards the interest of multinational corporations and the rich nations. For example: rich countries being allowed to maintain high import duties and quotas on certain products from developing countries; increasing non-tariffs barriers against developing countries; intellectual property rights banning developing countries from incorporating technology that originates in developed countries; etc. It is claimed that in the quest for free trade, issues of health, safety at work, and environmental protection are too often ignored to the great detriment of health, safety, and the environment, at the forums. Opponents of globalization, and in particular those opposed to the growing power of multinational corporations, argued that the WTO infringes upon national sovereignty and promotes the interests of large corporations at the expense of smaller local firms struggling to cope with import competition.